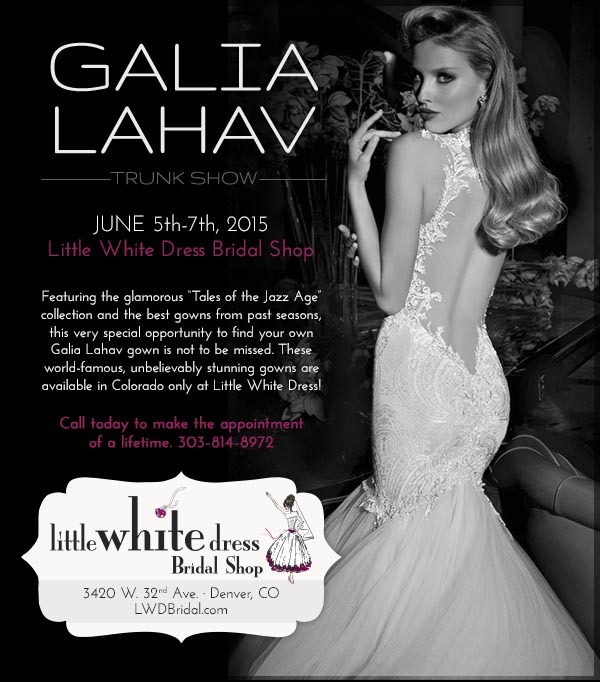 Galia Lahav Trunk Show, June 5th-7th! You've seen them all over Pinterest and in magazines - now be one of the first lucky brides in Colorado to wear a Galia Lahav wedding dress! Don't miss the opportunity to choose your gown from the entire new collection and all the best gowns from past seasons, in store just for this special trunk show. Call 303-804-8972 for your appointment!